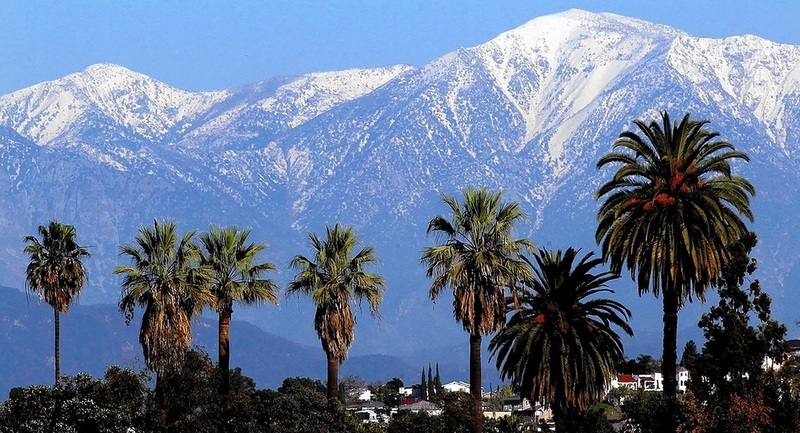 The San Gabriel Valley is an area encompassing over 200 square miles that includes 31 individual cities among them Pasadena, Arcadia, Monrovia, Alhambra, Sierra Madre, Monterey Park and San Marino. This valley was one of the first European settlements in Southern California. 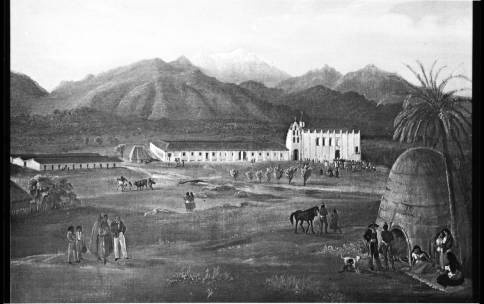 The land that would become the SGV was first known as Mission San Gabriel in 1771. The Spanish built the Missions starting in San Diego then heading northward. San Gabriel was the fourth to be built. The +/- 300,000 acre parcel was divided up in the early 19th century and became mostly farm land when water was brought down from the San Gabriel Mountains. One of California’s most colorful characters “Don Benito” or Benjamin D. Wilson played a significant role in the region's history. Wilson was originally from Tennessee and had made a fortune in New Mexico mining and trading. He was coming through California on his way to China but his plans were altered when he met, fell in love with and married Ramona Yorba. Ramona’s father owned the massive Rancho De Santa Ana and Wilson became involved in the family business, learning Spanish, converting to Catholicism and becoming popular with both Latino and White communities. He was given the nickname “Don Benito” by the local Mexicans for his benevolent demeanor and was well respected by everyone. Don Benito became one of the most significant forces in the Southern California economy in the mid 19th century; his influence cannot be overstated. One of his daughters, Maria, was baptized in Mission San Gabriel which would later prove valuable in land negotiation. In 1843 Wilson bought the area around what is now Riverside. At the time it was called the Jurupa Ranch for which Wilson paid $1000 a league. He was made Justice of the Peace and was entrusted with the office of Indian Affairs, a heavy responsibility at the time. The hostile Ute tribe was stealing cattle and committing other crimes, sometimes even killing local ranchers. Wilson was instrumental in placating the marauding Indians and keeping the settlers of the San Gabriel Valley and Inland Empire safe. In 1846 when war broke out between Mexico and the USA Wilson fought with the Los Angeles Garrison. He was defeated in Chino and was a Mexican prisoner of war until his release in 1847. In 1852 He was elected the second mayor of Los Angeles and later was elected a California state senator. He lobbied to bring railroads, ports and other infrastructure to early California, which had just became a state in 1850. In 1854 he acquired a 128 acre parcel awarded to him from the Mission San Gabriel, where he had baptized his daughter Maria years before. He called it “Lake Vineyard”. This parcel included what is now San Marino, Alhambra, South Pasadena and most of Pasadena. Wilson's daughter Maria married an engineer from Baltimore named James de Barth Shorb. Shorb worked for Wilson for seven years before being given a piece of land to call his own, land that is now San Marino and Alhambra. Shorb transformed the Barley Field of present day Alhambra into a bustling town which was originally named “Ramona”. He named the streets after his 11 children: Ynez, Benito, Carlos, Ethel, Marguerite and Campbell are still around today. Later in 1874 Wilson and Shorb bought another 275 acre parcel from the State of California to build a new home tract. These homes were the first in Southern California to have water piped into them through iron pipes running up to the base of the San Gabriel Mountains. This cutting edge real estate development became “The Alhambra Tract” a name that came from Washington Irving's’ book about the Alhambra Palace in Granada, Spain. The homes sold out quickly so Wilson and Shorb bought another 2500 adjoining acres. This parcel was bounded on the East by the Arroyo Seco, on the West by Marengo Avenue and on the North by Alhambra Road. This tract was called the Alhambra Addition Tract and the first street was Wilson Avenue which was later changed to Atlantic Blvd. These homes also sold out very quickly making Wilson and Shorb some of the richest people in California at the time. Wilson died in 1878 but Shorb continued to competently manage the family empire. Shorb founded the San Gabriel Wine Company utilizing the hundreds of acres of vineyards that had been planted by the Spanish. The company was a giant at it’s peak but when a blight in the 1890s killed the grape harvests Shorb began mortgaging his properties to try and stay afloat. In the end, all of Shorb's land holdings were foreclosed by Farmers and Merchants bank and eventually sold to Henry Huntington in 1900. Alhambra was incorporated as a city of 500 people in 1903. The city grew quickly, becoming a chartered city in 1915 with a population of about 5000. By 1939 population was about 40,000 and after World War II another building boom occurred filling in most of the empty land. Today Alhambra is home to 83,039 people and numerous thriving businesses. It has many interesting historic homes of Spanish and Craftsman varieties and most are well kept. Big new developments happening around Main, Garfield and Valley are bringing huge investment into Alhambra with exciting new shopping centers, condos and commercial buildings. Alhambra has a large Chinese population and some of the best Asian restaurants in Los Angeles including the legendary Boiling Crab on Valley Boulevard. The Alhambra Unified School District was originally established in 1886 in a horse stable and today has three high schools and a dozen elementary schools. AUSD schools are generally well regarded and scores highly compared to LAUSD. Alhambra is a great place to live. 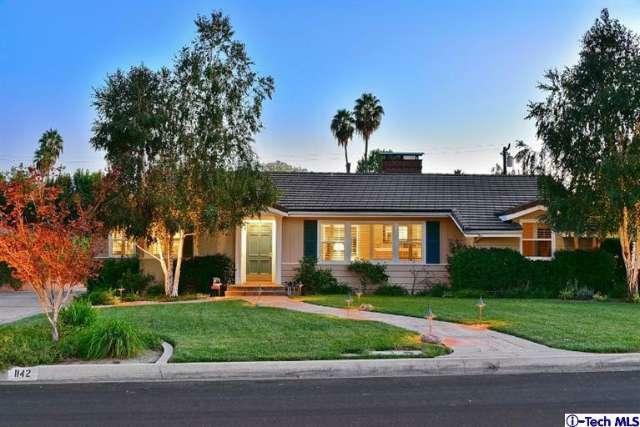 Typical 1950s California Ranch Home in the San Gabriel Valley (Arcadia).